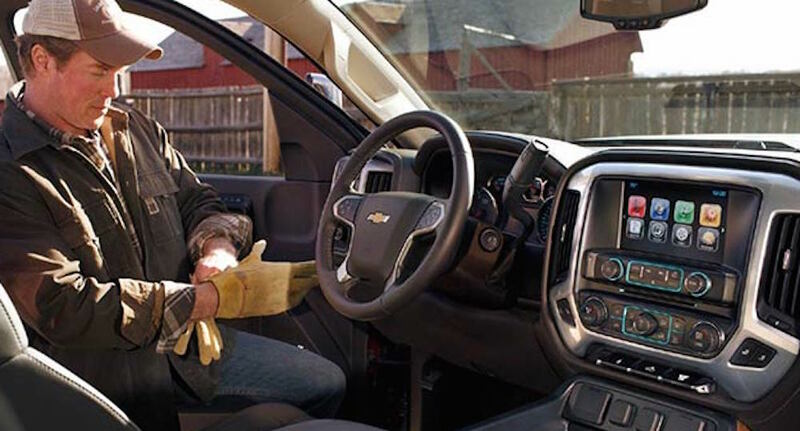 You Are Here: Home > Which Chevy Commercial Truck is Right For You? Many people assume that commercial trucks are notable for their bed and ability to haul heavy loads. This is certainly true, but that’d also be undermining the other capabilities and features that these trucks provide. That’s especially true for Chevy’s main pair of large commercial vehicles: The Low Cab Forward Truck and the Silverado 3500HD Chassis Cab. The vehicle has been specifically designed to cater to big construction or hauling jobs. The Cab Over design improves the driver’s visibility, which is essential if you’ll be traveling in busy urban areas. Furthermore, the easy access to the cabin will be appreciated by those who have to constantly enter and exit the vehicle, while the easy access to the engine means maintenance will never be a pain. Do you prefer a vehicle that offers the capabilities of a powerful pickup coupled with the hauling abilities often reserved for significantly larger vehicles? If that’s the case, then the 3500HS Chassis Cab is the perfect choice for you. Similar to most trucks, potential buyers will have their choice of engine options. There’s the standard Vortec 6.0-liter V8, which can pump out an impressive 360 horsepower. The 21,000-pound vehicle is accompanied by the Hydra-Matic Six-Speed Automatic Overdrive transmission, with included Tap-Up/Tap-Down shift control, Auto Grade Braking, and a reliable Tow/Haul Mode. The alternative option is the Duramax 6.6-liter Turbo-Diesel V8. The unit was produced to respond in any type of weather conditions, and the attached Allision 1000 series six-speed automatic overdrive transmission “has a reputation for handling heavy-duty jobs.” This is an important inclusion, as the brand has been focused on reducing their vehicles’ emissions. 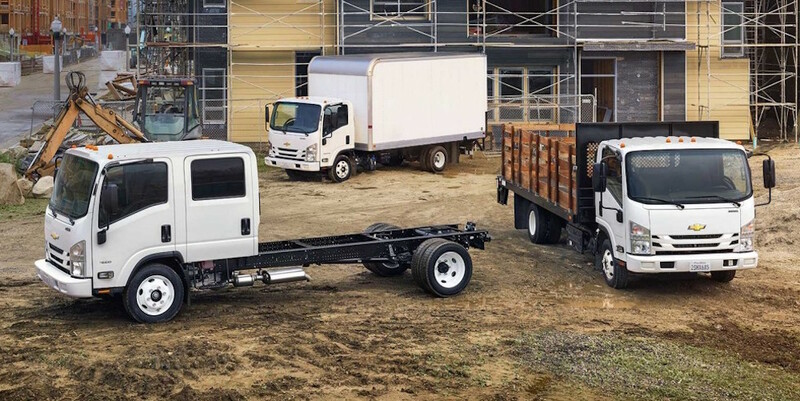 While you wouldn’t expect much technology from a traditional commercial truck, the Chassis Cab offers many of the same amenities as your standard pickup. This includes the Chevrolet MyLink seven-inch color touch-screen. You can integrate your phone to pull up essential work information, and you can use the included Navigation system to help find your way to a worksite. The vehicle also offers several ways an owner or passenger can stay connected. The 3.6 LTE Wi-Fi (via OnStar) will provide a reliable internet signal for up to seven different devices. Worried that your gadgets won’t stay alive? You can charge them with the 110-volt power outlet, or you could opt to charge them via the USB connectivity port. The vehicle also offers wireless Bluetooth technology. Perhaps most important is the vehicle’s relationship with OnStar. The RemoteLink Mobile App will allow you to remotely access many of your truck’s basic capabilities, like locking/unlocking doors or activating the horn and light. Furthermore, the OnStar Advanced Diagnostics and Dealer Maintenance Notifications will keep you alert of any potential issues you and your truck may have come across. The best part? Each of the commercial trucks are affordable. The 3500HD Chassis Cab starts at $33,455, while the Low Cab Forward Trucks starts around $40,000. 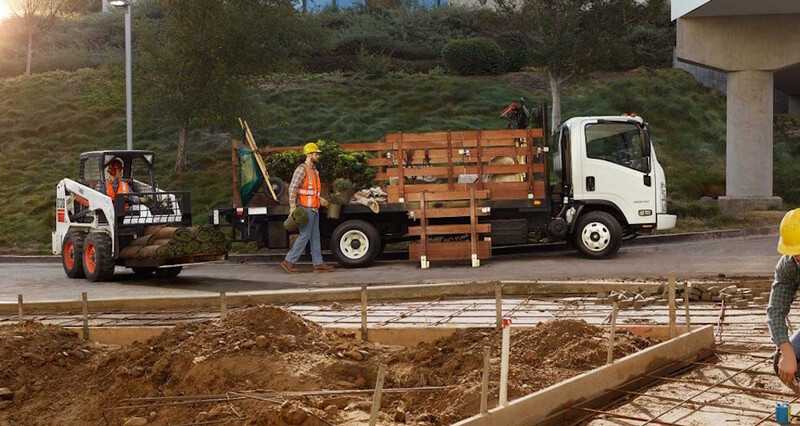 As you’ve read, each of the trucks are excellent companions for the worksite. 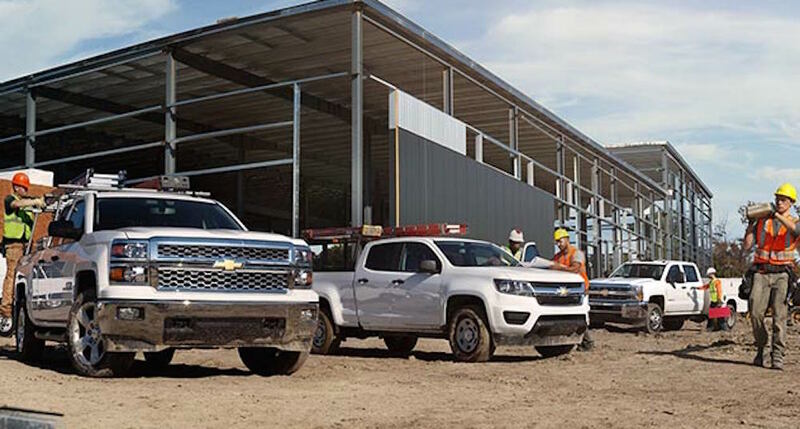 Any of the Chevy Low Cab Forward Truck’s six models provides a strong, powerful engine, contributing to the phenomenal hauling specs. Meanwhile, the Chassis Cab combines your favorite pickup truck attributes with the capabilities of a large commercial truck. Each of the vehicles caters to a specific type of customer, and each of the vehicles is perfectly capable for any type of job. If you’re in the market for a commercial truck, there’s no reason you shouldn’t be opting for one of these two Chevys.